The Stove Top Fan is the answer to the question that many wood burner owners ask themselves! The question, why isn’t the whole room warming up, it’s only warm around the wood burner? The reason for this is that heat convects from the source, meaning it rises, in this case up to the ceiling. The warm air drops down as it begins to cool but it’s not as warm as you might like it to be. So how does the Stove Top Fan help to fix this problem then? 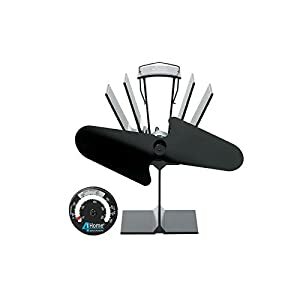 As your burner heats up the fan will start to spin, this pushes the hot air out into your room before it has the chance to convect upwards to the ceiling. Meaning everyone in the room benefits from the warmth from your stove. There are many different types of fans on offer, they all work from the same basic principle, ie, shifting the warm air into your room and using that heat differential to generate electricity to spin the fan. Some have a single fan with two, three or maybe four blades, others are a multi fan construction, meaning they have two fans in the same structure. 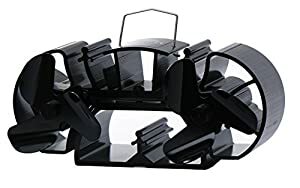 This would lead you think that because there are two fans they will shift even more warm air, this might well be the case, I don’t know as I don’t have one of this type of Stove Top Fan. To help you choose the right Stove Top Fan for you, we have a good selection of these stove fans in our Log Burning Essentials shop.